Are You A Social Signal Gamer? Author rank, + 1’s, Tweets and status updates, signals for ranking? Yes and no. These days the marketing mix contains a plethora of strategies that every organization or marketing department cannot ignore. There continues to be much debate as to how much “social” plays into the way a search engine will rank your organic posts, web pages or social content, a strategy that still has some SEO’s scratching their chin. 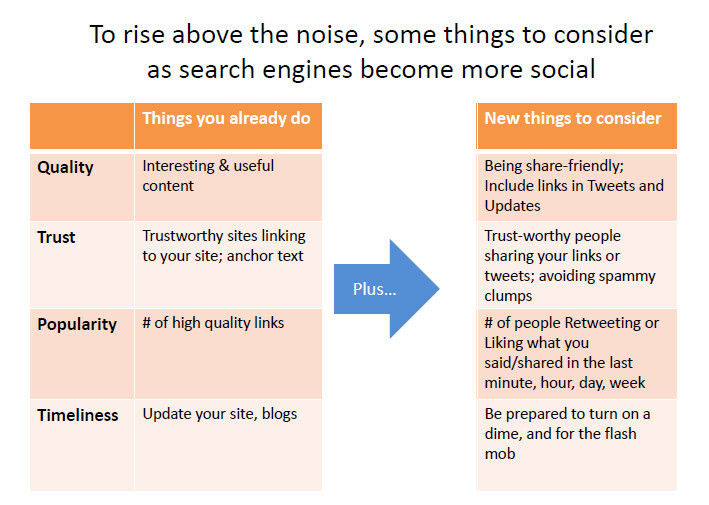 Because of the mystery of social signals and ranking, some try to “Game” social signals, but does this work? Let’s get down to it, do social signals affect Google? Bing? Yes. However, Google does have issues with Facebook and Twitter as Matt Cutts, Google’s chief head of spam, and spokesperson for this topic recently reported in the following video. You see the bottom line with Google is with social platforms such as Facebook and Twitter, there are incomplete and unreliable signals pinging back into their ranking factors. They simply cannot crawl every Facebook post (privacy) so they ignore signals from them. What about Bing? They openly admit that they factor in social signals from social platforms, namely Facebook and Twitter. Take a look at these graphs that give insight as to how Bing crawls Twitter for positive, and negative indicators, algorithmically calculating whether this is a good, or bad social signal, thus affecting that status, or overall web page ranking, and or SERPS position. 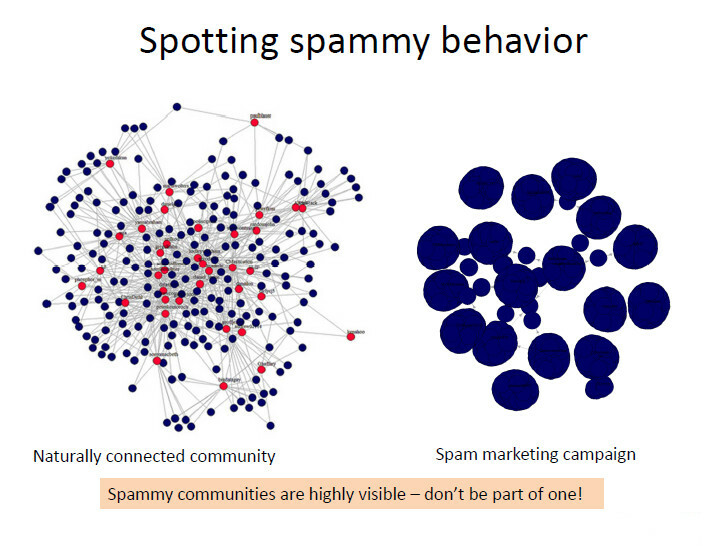 Bottom line, stay away from “spammy” neighborhoods. Why worry about whether you rank on Bing you may say? Look, don’t ask stupid questions, or you get a stupid response, we’ll leave it at that. Google Authorship, signal or no signal? Of course. The process of gaining authorship on Google+ is a several step process, making sure you are the person you say you are. Thus posting content when this has been accomplished is no doubt an additional way Google can rank your post’s in their SERPS. To say this does not affect their search signals in ludicrous. However, keep in mind you shouldn’t be trying to gain authorship to “game” the search engines, Google has already factored this in. So if you are the only author on your blog or site, and you are putting out poor content, don’t expect overnight success with traffic.Bottom line, social signals do affect the major search engines, but our best advice has always been the same, don’t “do social” or get “Google Authorship” just to get an advantage on search engines, or some magical SEO bump. Engage, be social, post valuable authoritative content. Social channels are meant to build relationships, not employ SEO tricks. So although it’s obvious social does affect SEO, modern search engines still have tricks up their sleeves, so don’t be a social gamer. Authorshippocalypse! Has the Google Authorship Penguin Finally Appeared?